After a lot of rumours having made rounds of the internet lately, Chinese smartphone maker Xiaomi has finally announced the existence of a Xiaomi Mi Mix 2S. Earlier, it was expected that Xiaomi may launch the device at the MWC 2018 but now it has confirmed that the device will be launched on March 27. For the uninitiated, the Xiaomi Mi Mix 2S is a reiteration of the Mi Mix 2. 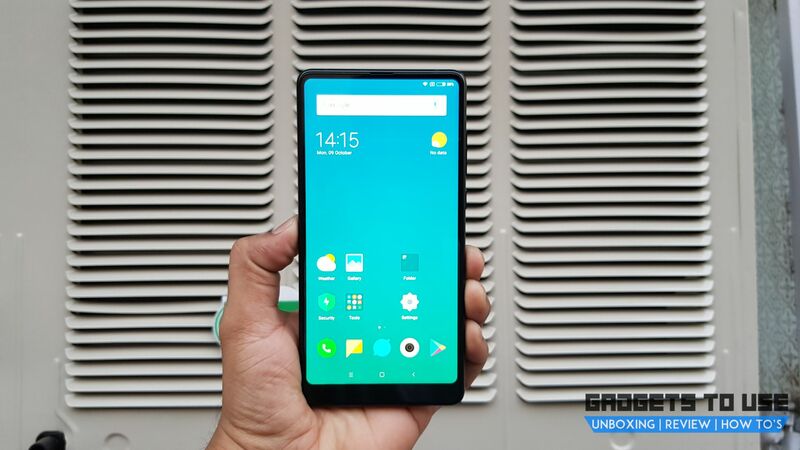 The official announcement was made on Twitter by Xiaomi’s Senior Vice President, Wang Xiang and retweeted by the Manu Kumar Jain, the Global VP of the company. The announcement has also made official, the processor to be used on the phone. The Xiaomi Mi Mix lineup has been the bezel-less flagship form Xiaomi. The Apple of China recently launched the Xiaomi Mi Mix 2 which gets multiple premium features like a ceramic build and a powerful processor, coupled with a display that stretches edge-to-edge, bar the chin at the bottom. Talking about the Xiaomi Mi Mix 2S, the device is said to come with a revised design. While it is now official, the phone’s design is yet not confirmed. The device is expected to feature a notch at the top corner of the display where it will house the front-facing camera. This design, if executed, will eliminate the small chin that is there on the original Mi Mix 2. While we expect the phone to sport a similar 5.99-inch Full HD+ IPS-LCD display as the original device, there may be some changes in the panel. The camera setup can also be the similar 12MP single camera at the back and a 5MP front-facing unit. However, since Xiaomi is now in the dual camera game, we can expect a photography boost with this phone. The launch announcement has unveiled that the Xiaomi Mi Mix 2S will be powered by the latest Snapdragon 845 processor from Qualcomm. This means it will be the first Xiaomi device to come with the flagship processor. The RAM and internal storage on the phone are currently a mystery.